- Magnification 20x to 1000x. Digital microscope With CCD camera, videoscope & coloured video camera, television screen for biological industrial research laboratories & hospitals. - 5X, 10X, 45X (spring) & 10OX (spring) Oil. 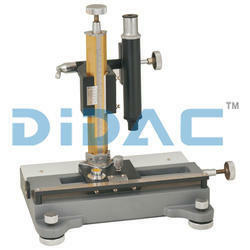 We are involved in offering an extensive range of premium quality Light Source for Microscope to our clients. A substage attachable illuminator with air holes for cooling. Working voltage is 230V AC/DC, 15 Watts. 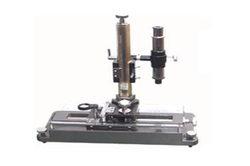 We are offering an exclusive range of superior quality Junior Student Microscopes. Heavy conventional Stand, inclinable to 90, single focus control knob with variable tension and adjustable focus stop to prevent damage to slides and objectives, with triple nose piece, stage size: 100 x 100mm.